Last year, Hyatt significantly devalued its Gold Passport program by increasing the number of points required for most award stays. This year, the news is better. Although the number of points required for a free night will increase at 22 hotels, it will also decrease at 48 hotels. For context, the Hyatt network includes around 573 hotels, so around 4 percent will increase in price and 8 percent will fall. 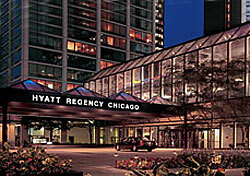 In this case, the award categories remain the same; the changes result from shifting hotels among existing categories. The changes take effect for stays beginning on January 22, 2015. As with all award-price changes, the standard advice applies: Book award nights at current prices before any increases take effect. And if your travel plans are flexible, wait until the new prices take effect to book award stays at hotels that will decrease in price.